Halo Rover Review – Personalized off-road hoverboard worth it? 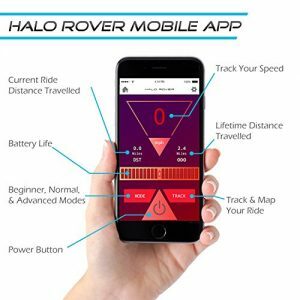 Home » Self-balancing Scooter » Reviews » Halo Rover Review – Personalized off-road hoverboard, worth it? After testing the Halo Rover out on various terrain it really is a great addition to the hoverboard community. But what's even greater are the application. I have been waiting for the feature to personalize the settings on an American hoverboard for quite some time. Now that it's finally here, I LOVE IT! The extent they’ve gone through in order to make it damage and shockproof. The Mobile app gives you freedom to customize it to your liking. The strength of the motors makes it more stable and it can take on greater inclines. Responsive phone support and email support. The tread depth of the tires provides really good grip on the most unforgiving terrain. Works in weather conditions such as snow and rain. Red tail lights increase your visibility to others during the darker hours of the day. Distance is a bit low while riding off-road. The “shell” where you stand on is still plastic and can under unfortunate circumstances crack. Like when I flipped it upside down on a decent sized stone. 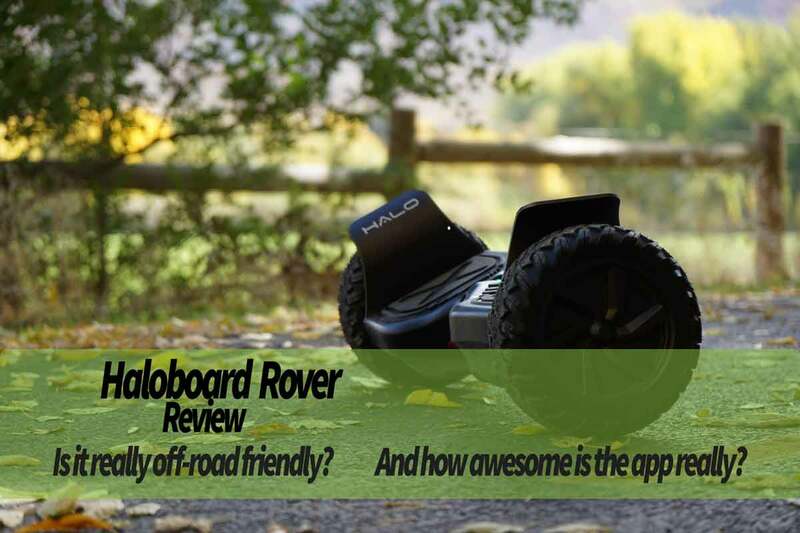 In our review of the Halo Rover from Haloboard you’ll get to know what all the fuzz is about and why we think it is an excellent choice for those who want a stronger more versatile hoverboard which can be personalized for optimal performance. The option to call or email them with any questions and in return get good, knowledgeable and responsive support is great. That hasn’t always been the case when it comes to hoverboard retailers. This hoverboard is, for now, unique thanks to its Bluetooth/speaker function and the phone application which can be used on both on IOS and Android. I have been waiting for this to come to the US and it’s finally here. 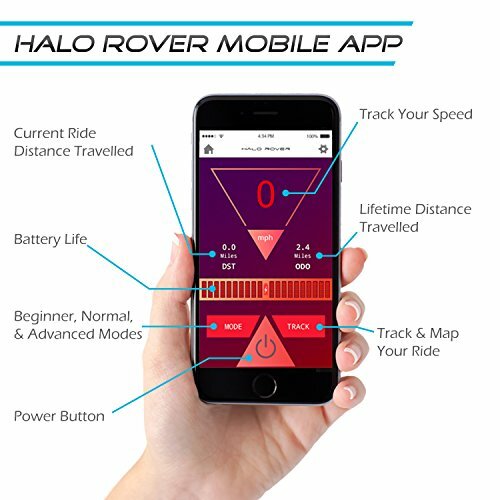 The phone application makes your hoverboard fully customizable; you can change torque, steering sensitivity, and power in order to find the optimal settings for you. It also has three built-in modes so that you can get going straight away whether you’re a beginner, somewhat knowledgeable or already master the skills required for riding a hoverboard on optimal settings. I actually had a 10” model made for me with the exact same functions and I take it with me everywhere. With the tough 8.5-inch indestructible tires giving you excellent grip on even the most unforgiving terrain like mud, sand, dirt, and grass. It has great ground clearance compared to a 6.5” model, it is able to ride over sticks and smaller stones that might be a reoccurring obstacle if you’re riding on a dirt road or a bike trail in the woods. Something I highly recommend trying if you end up buying the Halo Rover. A hard outer shell made of mostly plastic with the wings being aluminum. It is stable and hard to break. Not impossible, just a lot harder than the standard 6.5/10 inch models. 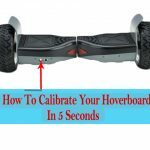 The guys over at Haloboard took it even further by adding custom rubber wings which are mounted on the top of the aluminum wheel covers giving the hoverboard a softer roll-over and protecting your board from scratches, marks and hitting the plastic parts. 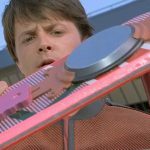 Believe me when I say this, I’ve broken my fair share of hoverboards over the 1 ½ year that I’ve been a test pilot. I would estimate I’m at the 30 something mark and when I say that I broke it I mean most of them are in two pieces or more. The only thing I loved about the 6.5” models compared to the 10” are that the 10” have a tendency to break the aluminum frame inside the hoverboard (near the middle) in two if it gets a lot of pressure. However, 8.5 inch seems to be the sweet spot and the model I tested is actually still operating just fine. The only thing that got damaged was the plastic shell getting a small 1-inch crack after landing on a rock upside down. That’s why the Halo Rover is one of my all-time favorites, even though I was a 10-inch guy before testing the first aluminum design hoverboard, the Epik Go. The Halo Rover was the one that actually converted me all the way with its ability to be customized to my liking. I really love the Halo Rover hoverboard and it did very well on our off-road course. Sturdy building structure combined with a high level of customization gives you the ability to find the exact settings that work best for your weight and skill level. It can be used in most places where people wouldn’t think about going with a standard 6.5-inch model and does well under some very nasty weather conditions like snow and rain. 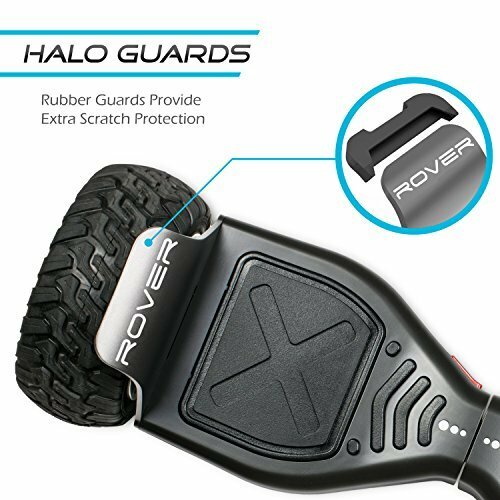 The Halo Rover is built to do more than just ride on the streets and for me who like to ride through the local skate park or on the off-road bike trails really think this is the right path to take when it comes to the future of hoverboards.